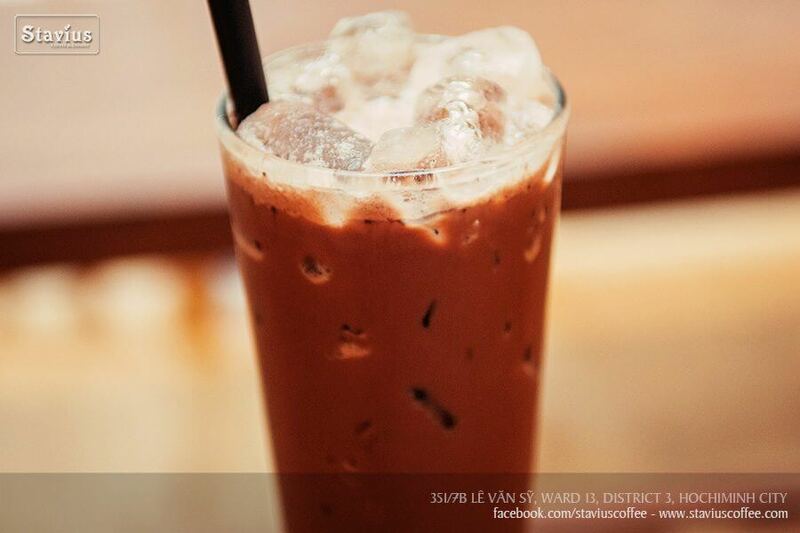 – Step 1: Put 3 teaspoons of cocoa in a glass, add condensed milk, warm water and stir well. – Step 2: Add fresh milk, hit the hands to cool water and cocoa powder completely dissolved. Then stir the marbles to stir and enjoy. – To make cocoa delicious more than you should make cocoa with warm water, because condensed milk with warm water will over and cocoa is also completely dissolved, not clotted. – It is better to mix cocoa with unsweetened milk than with sugary milk. – Cocoa is also very important, even decide how to mix cocoa milk is delicious or not. You have to make sure that the cocoa creates new foam for adding fresh milk or sugar. With the ingredients and the simple way to make a very nutritious drink with the pure color of cocoa attractive, you can use immediately when done. The aroma of cocoa mixed with the smell of milk plus the cool of the stone will be a delicious and very attractive drink. If you have customers you can mix this cocoa milk to invite customers to what is wonderful.